Phantasialand - F.L.Y. : Vekoma Launched Flying Coaster : Theme Park News & Construction! 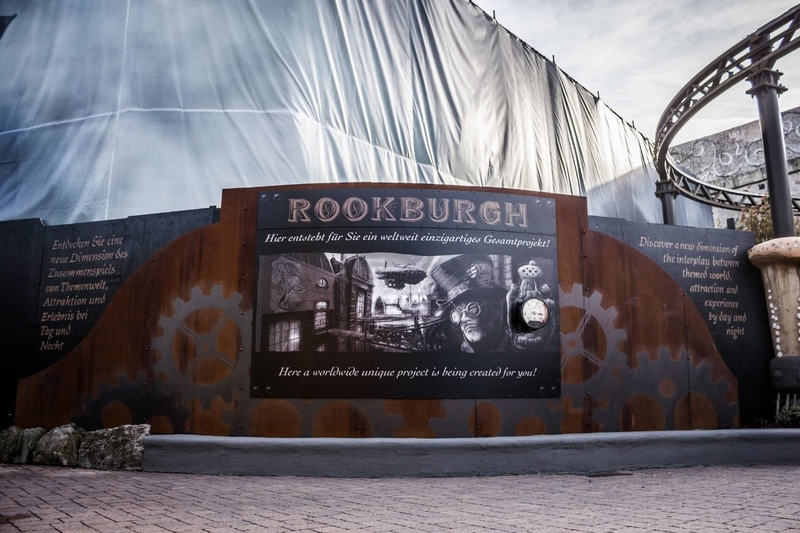 Phantasialand has announced a new area in the place where Race to Atlantis stood called "Rookburgh" and it appears to be Steampunk themed. The rumors floating around are that this area will have the park's third hotel and a dark ride, but no rides have been confirmed yet. Re: Phantasialand Announces New Area! Whohoo! We might see a steampunk-themed coaster coming which makes us imagine another... Baron 1898! I'm going tomorrow, probably won't find anything that hasn't been shown before. If it's going to be anything as steampunky as on the ad. I only cheer at all the possible plans. There aren't many themeparks that do something with a steampunk style. This could be very awesome. Well SFMM themed 2 buildings and like 20% of a station. They didn't even fully commit and do scream's station. According to loopings the area's main attraction will be a Vekoma flying coaster. Could this possibly be the prototype being tested here? ^ That'd be one of my faves! I really want to see what that test track was all about from Vekoma a while ago. I wonder if it's this. 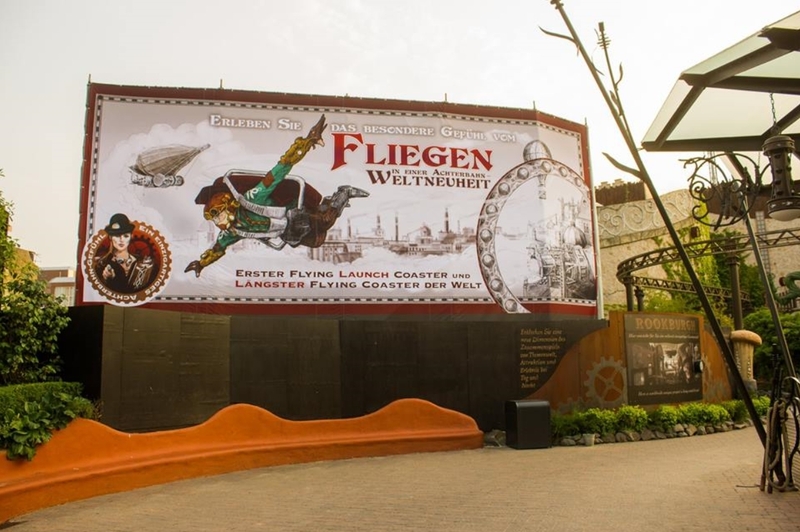 PHANTASIALAND ANNOUNCES THE WORLD'S FIRST FLYING LAUNCH COASTER! 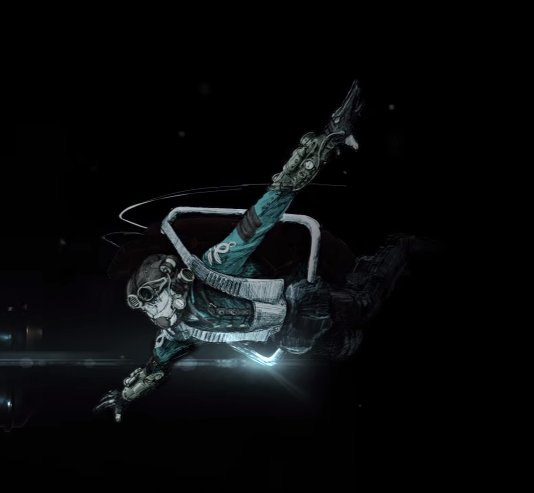 Phantasialand opens a special new attraction in 2018 or 2019. That informs initiates to Looopings. The German amusement park at the Dutch attraction builder Vekoma had ordered a spectacular flying coaster. There passengers put the ride down the road. 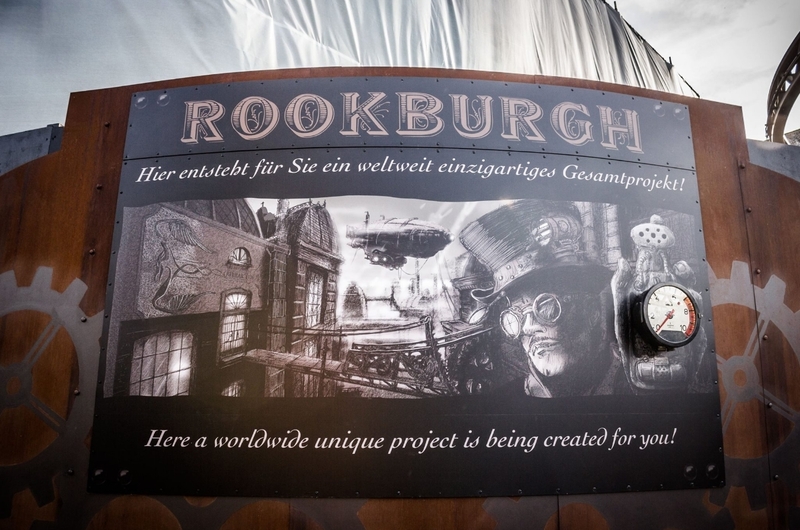 According to various stakeholders, the ride will be in the new rookburgh area, officially announced last week. On a notice board, several references to the theme fly, including a zeppelin and the word 'Airrail' on the facade of a building. The theme section is situated between the interactive darkride Maus au Chocolat and the covered area Wuze Town, with spinning coasters Winja's Fear and Winja's Force. The old simulator Race for Atlantis, found there, has had to clear the field last year. Phantasialand is notorious because of extreme secrecy around new projects. Leaving information about future attractions almost never occurs. A steampunk themed launched Vekoma flying coaster? Count me in! I can't wait to see how they will fit in the longest flying coaster in the world in such a small space. If it's going to be like the prototype at the Vekoma factory I'm guessing it will have a dark ride portion then the trains will turn to the side for the flying position. I honestly don't think it'll be world's longest flying coaster. Flying Dinosaur is well over a kilometer long (3,300 feet or so) and I don't see that fitting in Phantasialand, the most RCT-ish park in the world when it comes to compactness. I believe they meant to say 'world's longest launched flying coaster', which I think do not exist yet, so they'll get that record with any track length. I think it could easily be the longest Flying Coaster in the world. Flying Dinosaur is 1.124m long. Rookburgh doesn't look much smaller than Klugheim and Taron is 1.320m long! I've got to comment "Props to Phantasialand's decision!" They're epic! Last edited by lol240 on June 28th, 2017, 9:17 am, edited 1 time in total.